Why would a bird continue to nest and live within the perimeter fences of a major airport? And why, despite several attempts to scare them off, and an increasing number of deaths as they unwittingly fly into the flight path of planes, would their numbers be on the increase? Perhaps, in order to understand this, it’s time to take a fresh look at the Eurasian oystercatcher. Is the oystercatcher a bird with a death wish – or is it simply too stupid to learn? 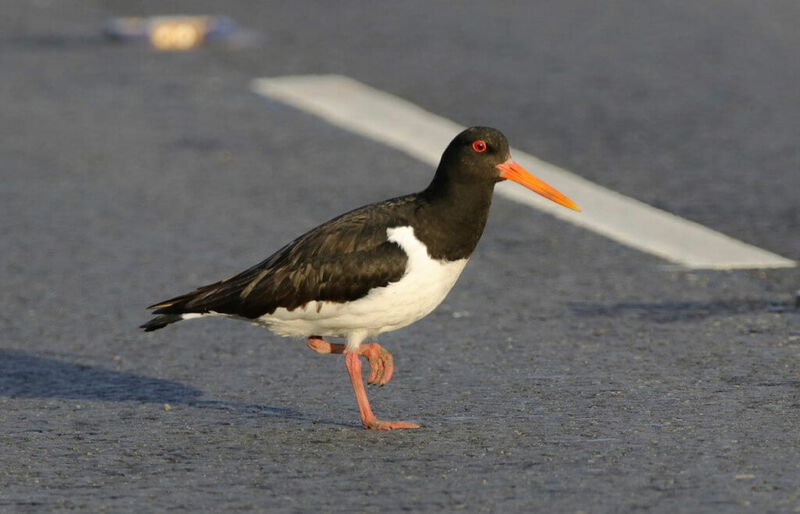 In many bird control circles the oystercatcher is jokingly referred to as a ‘dodo’ for its inability to realise that airports are not an ideal nesting ground. But, it may not be the oystercatcher that lacks understanding: it could well be us. The problem may lie in the behavioural change in birds that is a direct response to our own actions as humans, centred on our inability to see things from the bird’s perspective rather than our own. Let’s start by considering just how unintelligent the oystercatcher’s behaviour actually is. The oystercatcher’s changing behaviour in relation to airports looks like an intelligent, reasoned choice if seen from the bird’s point of view – and certainly not evidence of a wilful streak of mis-guided intransigence. They can confidently out-manoeuvre even the fastest of raptors: this is a bird that thinks and acts fast, even at speeds of 90 mph. Its broad diet includes shellfish, which are particularly tricky to consume with a beak alone, as anyone who has tried to tackle opening a mussel with a pair if chopsticks can testify. Here’s the real critical point, however. In the past, ornithologists have observed oystercatchers demonstrating a remarkable ability to evaluate the probable risks of one environment compared to another when deciding where to breed. This has led to discernible movements of the bird should a new threat or opportunity emerge. Traditional bird strike prevention methods of ‘bird scaring’ at airports have made hardly any headway at all with this species. Pyrotechnics, noises, rapid movement, chasing with remote-controlled vehicles are all met with barely the blink of an eye. As a result, the move is being made from scare tactics to cull tactics. The oft-used argument is that the oystercatcher has become habituated to the scare tactics and something more drastic is required. What actually seems to be the case, however, is that there may be some truth, after all, in the dodo metaphor. It’s not so much that the bird is now habituated to our scare methods, but that it wasn’t at all bothered by them in the first place. Unlike corvids, oystercatchers are not used to being culled by humans. They are, as a result, not at all afraid of us. Like the dodo, this makes them sitting ducks when humans began to use fatal threats. And, just like the dodo, human threats now pose a real risk to their survival. 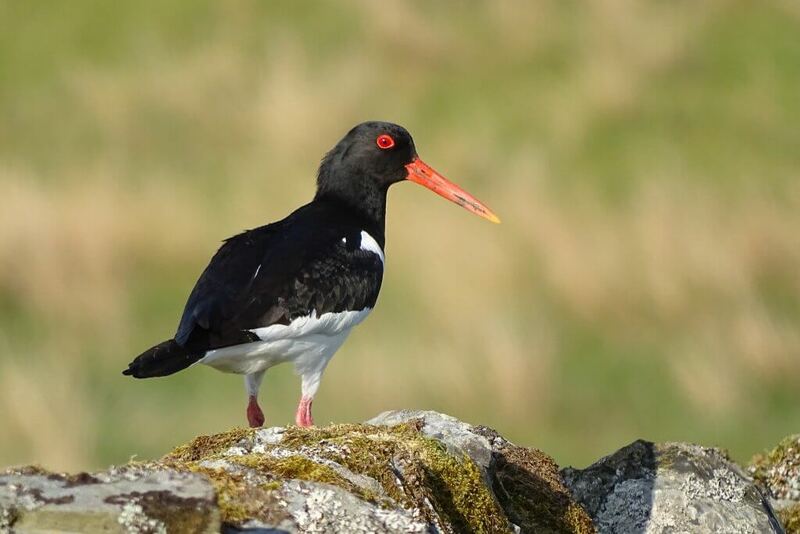 Despite the oystercatcher already suffering from diminishing numbers and being classed as an Amber species (Birds of Conservation Concern), bird control methods now focus on culling rather than relocating. It is not just airports that oystercatchers are choosing as nesting locations. Increasingly over the last few years observers have also noted oystercatchers are choosing to nest in places that on the face of it seem ridiculous. A busy public footpath, for example, or roundabouts on main roads in major cities. Oystercatchers calculate that humans pose absolutely no threat to their eggs. In addition, in areas where human activity is high they can observe a reduction in threats from their typical predators. This makes the busiest and noisiest environments an ideal choice for risk-free nesting. Instead of suffering from the disturbance that the increase in air traffic may bring, oystercatchers are now exploiting this as a welcome activity that keeps their potential predators away. What seems a foolish choice of nest location is actually a successful calculation of the odds. Oystercatchers have learnt that the airport environment is statistically more successful than other, more natural, choices. And, the greater the number of movements an airport has, the more desirable the habitat is for an oystercatcher. This is not one ‘freak species’. Similar behaviour has been observed in the traditionally shy stone curlew and many other birds. The big question is this: the endgame of using traditional ‘scare’ tactics is to lead to a ‘cull’ option. If we wish to avoid this we need to address the problem from the bird’s perspective and start deploying different tactics that have a greater chance of success before we throw the towel in and bring out the big guns. Let’s recognise the birds’ intelligence. And then let’s understand their behaviour. Let’s put our thinking towards developing control methods that work, rather than those that are proving increasingly ineffective, as they are outsmarted or ignored by highly cognitive bird species. Let’s focus on a smart response – not one that simply moves from scare to cull. We need to adopt more sophisticated scaring and control methodology – and not blindly fall back on traditional methods – particularly for species that are protected. Avian intelligence demands bird control methods that are just as complex and as reasoned as the behaviour of birds. With that in mind, using the oystercatcher’s own distress calls to convince them that their location is unsafe is a far more effective dispersal method than those which arguably fit more with a human logic. The oystercatcher call is just one of a whole library of bird distress calls which we offer and supply to airport customers around the world. The bio-acoustic technology uses accurate and expertly curated distress calls to alert oystercatchers and hundreds of other species to danger and repel them from airside environments: literally using the birds’ own languages to communicate with them. It is technology such as this that we need to continue to champion and develop in order to recognise and react to behaviour such as that of the oystercatcher, rather than using more basic and impulsive tactics and seeing little or no impact.